Acura Certified! Hard to find ADVANCE model, Navigation, AWD and Summer road trip season is coming, Heated/Cooled seats, Blind spot indicators, Low Miles, Great Financing Available! 15 others to choose from! Great financing and extended warranties available. 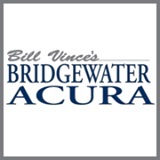 We have been NJ's #1 Certified Acura dealership since 2003 and have been nationally ranked as a TOP TEN certified center since 2004! We don't play games like our competitors and add on Certification fees and BS charges. What you see is what you pay, nice and easy-how buying a car should be! All transactions subject to $469 Documentation fee. Acura Certified! Hard to find ADVANCE model, Navigation, AWD and Summer road trip season is coming! Heated/Cooled seats, Blind spot indicators, Low Miles, Great Financing Available! 15 others to choose from! Great financing and extended warranties available. We have been NJ's #1 Certified Acura dealership since 2003 and have been nationally ranked as a TOP TEN certified center since 2004! We don't play games like our competitors and add on Certification fees and BS charges. What you see is what you pay, nice and easy-how buying a car should be! All transactions subject to $469 Documentation fee. Acura Certified! Hard to find ADVANCE model, Navigation, AWD and Summer road trip season is coming! Heated/Cooled seats, Blind spot indicators, Low Miles, Great Financing Available! 25 others to choose from! Great financing and extended warranties available. We have been NJ's #1 Certified Acura dealership since 2003 and have been nationally ranked as a TOP TEN certified center since 2004! We don't play games like our competitors and add on Certification fees and BS charges. What you see is what you pay, nice and easy-how buying a car should be! All transactions subject to $469 Documentation fee. Acura Certified! Hard to find ADVANCE model, New body style, Navigation, AWD and Summer road trip season is coming! Heated/Cooled seats, Blind spot indicators, Low Miles, Great Financing Available! 15 others to choose from! Great financing and extended warranties available. We have been NJ's #1 Certified Acura dealership since 2003 and have been nationally ranked as a TOP TEN certified center since 2004! We don't play games like our competitors and add on Certification fees and BS charges. What you see is what you pay, nice and easy-how buying a car should be! All transactions subject to $469 Documentation fee. Acura Certified! Hard to find ADVANCE model, New body style, Navigation, AWD and Spring road trip season is here! Heated/Cooled seats, Blind spot indicators, Low Miles, Great Financing Available! 15 others to choose from! Great financing and extended warranties available. We have been NJ's #1 Certified Acura dealership since 2003 and have been nationally ranked as a TOP TEN certified center since 2004! We don't play games like our competitors and add on Certification fees and BS charges. What you see is what you pay, nice and easy-how buying a car should be! All transactions subject to $469 Documentation fee. Acura Certified! Hard to find ADVANCE model, Navigation, AWD and Summer road trip season is coming, Heated/Cooled seats, Blind spot indicators, Low Miles, Great Financing Available! 15 others to choose from! Great financing and extended warranties available. We don't play games like our competitors and add on Certification fees and BS charges. What you see is what you pay, nice and easy-how buying a car should be! All transactions subject to $469 Documentation fee.